ADVA today announced that Hetzner Online has deployed its FSP 3000 CloudConnect™ with QuadFlex™ technology to meet soaring data demand from private customers and enterprise clients. 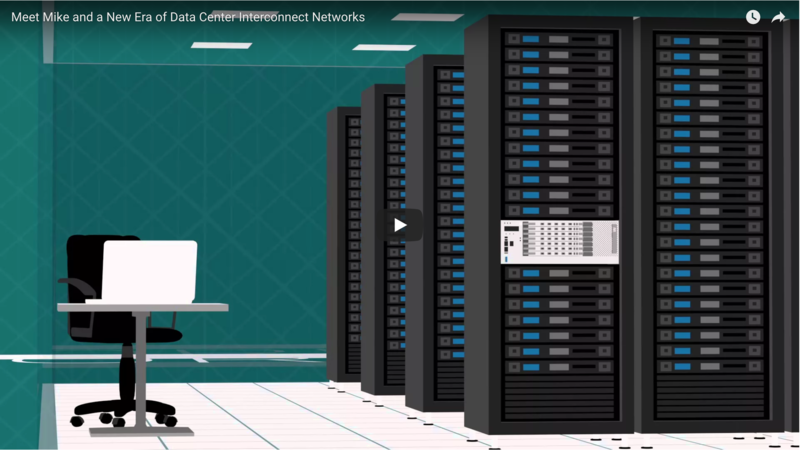 Hetzner Online, one of Germany's leading web hosting providers and data center operators, is using the data center interconnect (DCI) solution to boost the capacity of its national backbone network to 400Gbit/s and beyond. The upgrade to Hetzner Online’s legacy infrastructure involved the deployment of pairs of 200Gbit/s connections operating at 16QAM. These dual wavelengths create 400Gbit/s links between hosting and colocation facilities in Frankfurt and Nuremberg as well as the company’s data center park in Falkenstein and other key sites. Installation was carried out by ADVA's Elite partner Axians. “We’re seeing fierce data growth from private and business customers across the country. Deploying 400Gbit/s technology in our transport network is a major part of our response. The ADVA FSP 3000 CloudConnect™ platform, with its low power consumption, high density, and flexibility, enables us to provide more in terms of both capacity and value,” said Martin Fritzsche, head of network engineering, Hetzner Online. Using the ADVA FSP 3000 CloudConnect™ and its QuadFlex™ technology, the new infrastructure is now transporting 400Gbit/s data loads over distances stretching to 250km without the need for signal regeneration. To achieve this channel capacity, the network is configured with two 200Gbit/s wavelengths operating at 16QAM modulation within an optical super-channel. Multiple 400Gbit/s cards are also being run in parallel for even greater speeds. Designed for scalability and bandwidth optimization, the ADVA FSP 3000 CloudConnect™ platform offers unrivalled efficiency. It delivers huge energy savings and, with its incredibly small footprint, occupies very little rack space. The solution also uses DP-QPSK modulation to enable legacy 100Gbit/s wavelengths to operate flawlessly alongside the new 400Gbit/s streams. This protects Hetzner Online’s investments and enables a smooth migration to ultra-high capacity.